This past week our HIANG Recruiting and Retention team attended the 2019 Air National Guard (ANG) Annual Certification Training Course for all ANG recruiters. At the training two of our very own recruiters were honored and recognized in front of the entire ANG recruiting community. Master Sergeant Todd Shak was awarded Rookie Recruiting & Retention Manager of the Year Region 1 for Fiscal Year 18. Region 1 encompasses Montana, Wyoming, Colorado, New Mexico, and all the states/U.S.territories to the west into the Pacific AOR. Technical Sergeant Sharon Pasion was presented the Silver Award which is given to recruiters who enlisted at least 45 recruits for Fiscal Year 18. 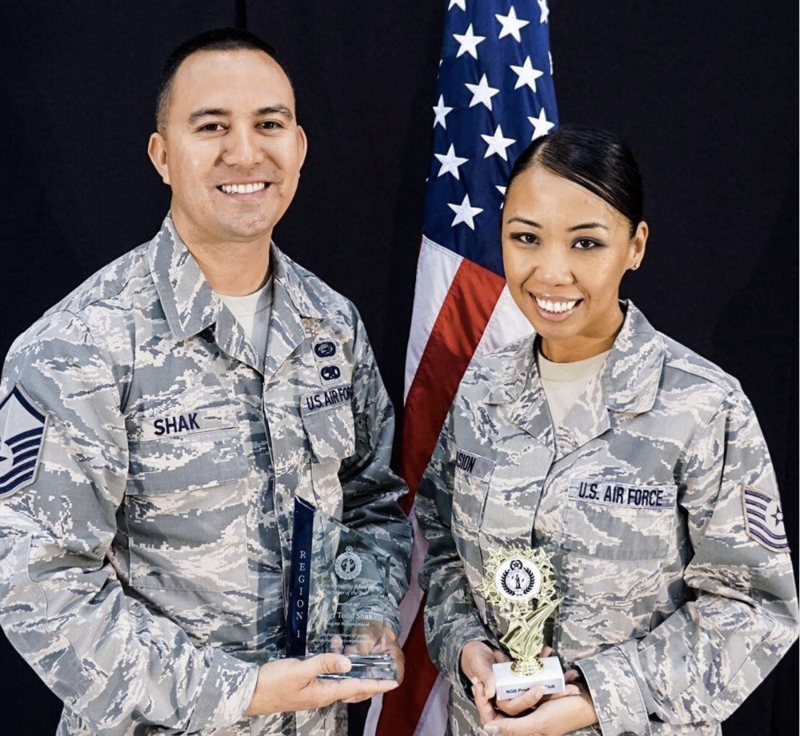 Congratulations to MSgt Shak and TSgt Pasion for your outstanding achievements, dedication to the recruiting program, and for representing the State of Hawaii and the Hawaii Air National Guard. We are all proud of you both!